By now, it is assumed that almost all and not all, are aware of the previous released Airtel weekend plan, which gives 1GB worth of data for just #100 only. A right application was made on that data in other for it to be accumulated. It may sound as Airtel cheat, but it is not. Rather it can be accumulated up to 7gb for your internet browsing. Although its a weekend plan, but means a lot to those that download heavy files like on music, Games, videos etc Also, do you wish to watch live football matches using your Android phone with Mobdro app, during weekend matches,. This very data can see you through on that. SEE ALSO: Relaunched Airtel SmartTalk Tariff Plan: Call All Networks At 15k/sec. ==>As you keep on subscribing, the more the expiry date extends. Do I Need VPN To Power It? No, it doesn't require any sort of VPN application such as Psiphon pro lite handler, Netloop, pronet, simple server etc to power it. But works flawlessly without any third party app working as a helping hand. it is just a normal data. Does it Select Phones To Work On? This very data is the best so far, as it works on all devices which may include: Android, iOS, java, symbian, Blackberry, window phones, and as well, on Laptops/pc through modem connection, without restrictions of any thing. How Can I Subscribe To 7GB Data With N700 Naira From Airtel Network? 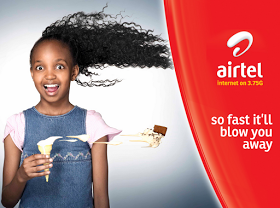 Very easy to get, although bear it in mind that, there is no official airtel 7GB data plan for just #700. So, getting the 7GB, we are making use of accumulation method. Hey, are you still flowing with us? Now to get it done on subscribing for it, just simply dial *474*1# and #100 will be deducted from your airtel account, in return, airtel will shower you 1GB for that. If should incase you dialed the USSD code above and nothing was deducted from your account balance or no data given, it simply means, your Airtel line is not eligible for the weekend data plan. You should buy another SIM and retry dialing the USSD Code again. The trick behind accumulating the gige up to 7GB is to keep on recharging N100 and subscribing to the data everyday, starting from Sunday to Saturday. Since for each day you can only spend N100 in other to subscribe for it, So if you do it 2days within a week, you are expected to get 2GB for weekend browsing. That's how it works. Any where you did not comprehend well on this post, Use the comment box for any question on that.